Best selling author Maggie Stiefvater, known for The Raven Cycle books, is taking a stand against online piracy. Responding to people who claim that piracy doesn't hurt sales, the author shared a personal experience showing the opposite. When The Raven King was released last year she flooded the Internet with fake pirated copies, triggering an interesting response. When it comes to how piracy affects sales, there are thousands of different opinions. This applies to music, movies, software and many other digital products, including ebooks. When we interviewed Paulo Coelho nearly ten years ago, he pointed out how piracy helped him to sell more books. While a lot has changed since then, he still sees the benefits of piracy today. However, for many other authors, piracy is a menace. They cringe at the sight of their book being shared online and believe that hurts their bottom line. This includes Maggie Stiefvater, who’s known for The Raven Cycle books, among others. This week she responded to a tweet from a self-confessed pirate, stating that piracy got the box set of the Raven Cycle canceled. As is usual on social media, it quickly turned into a mess. Instead of debating the controversial issue indefinitely in 140 character tweets, Stiefvater did what authors do best. She put her thoughts on paper. In a Tumblr post, she countered the belief that piracy doesn’t hurt authors and that pirates wouldn’t pay for a book anyway. The story shared by Stiefvater isn’t hypothetical, it’s real-world experience. She had noticed that the third book in the Raven Cycle wasn’t doing as well as earlier editions. While this is not uncommon for a series, the sales drop was not equal across all formats, but mostly driven by a lack of eBook sales. While her publisher wasn’t certain that piracy was to blame, Stiefvater was convinced it played an important role. After all, the interest in her book tours was growing and there was plenty of talk about the books online as well. So when the publisher said that the print run of her new book the Raven King would be cut in half compared to a previous release, she came up with a plan. Instead of trying to take all pirated copies down following the new release, she created her own, with help from her brother. But one with a twist. “It was impossible to take down every illegal pdf; I’d already seen that. So we were going to do the opposite. We created a pdf of the Raven King. 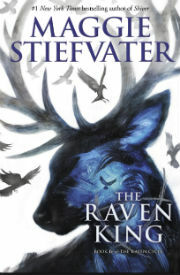 It was the same length as the real book, but it was just the first four chapters over and over again,” Stiefvater writes. And so it happened. When the book came out April last year, customized pirated copies were planted all over the Internet by the author’s brother. People were stumbling all over them, making it near impossible to find a real pirated copy. This paid off. Many people could only find the “troll” copies and saw no other option than to buy the real deal. As a result, the first print of the book sold out in two days. Stiefvater was on tour and at some stores she visited, the books were no longer available. The publisher had to print more and more until… the inevitable happened. “Then the pdfs hit the forums and e-sales sagged and it was business as usual, but it didn’t matter: I’d proven the point. Piracy has consequences,” Stiefvater writes, summarizing the morale of her story. While this is unlikely to change the minds of undeterred pirates, it might strike a chord with some people. Of course Stiefvater’s anecdote is no better that Coelho’s, who argued the opposite in the past. Perhaps the real takeaway is that piracy doesn’t have any fixed effects and it certainly can’t be captured in oneliners either. It’s a complex puzzle of dozens of constantly changing factors, which will likely never be solved. Maggie Stiefvater’s full Tumblr post is a recommended read and can be found here, or below.